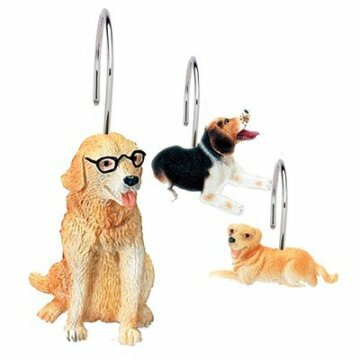 Puppy up your bathroom with these ridiculously cute puppy shower curtain hooks! Set includes four each of three adorable designs and are made of quality painted resin. This set makes a unique gift for any dog lover. For more information about the dog shower curtain hooks, click here.